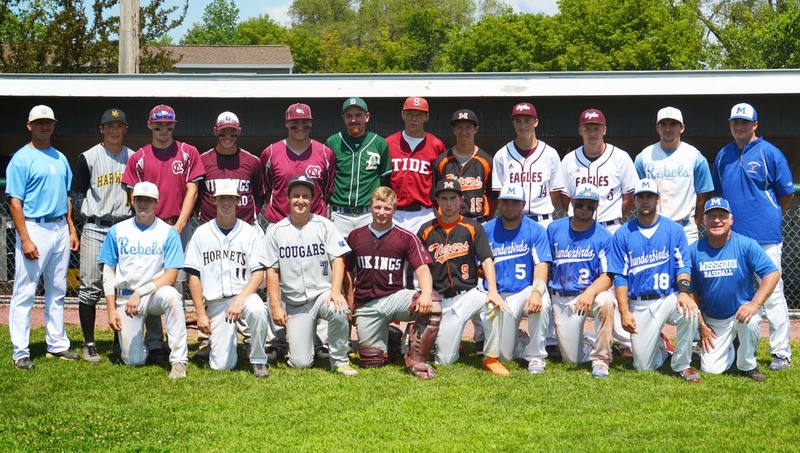 RUTLAND, Vt. -- Solid pitching and timely late game hitting lifted the North to a doubleheader sweep over the South, 8-2 and 6-0, in the annual Vermont Baseball Coaches Association Senior All-Star Game Saturday at St. Peters Field in Rutland. Gabe Dichard (South Burlington) doubled and tripled in the win in the lidlifter and four RBI by Jonathan Palmer (Essex) completed the sweep in game two. Six North hurlers combined over the 14 innings to give up 11 hits, one walk and a hit batter, and only one earned run while its defense committed just one error in each tilt. In game one, Luke Russell (Harwood) went 2-for-3 with a walk, scored twice and drove in two more, and his RBI-single snapped a 1-1 tie in a two-run fifth. 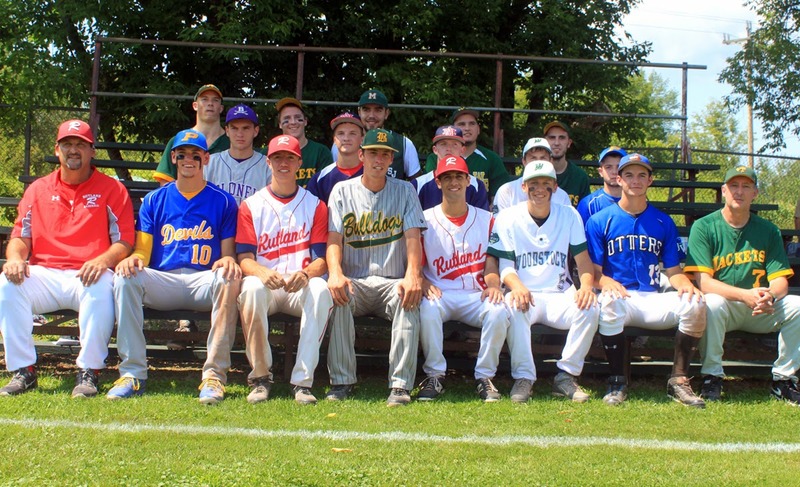 Dichard led the sixth with a triple and Elijah Eaton (Missisquoi Valley) singled in two more in a five-run outburst as the North pulled away for the 8-2 win. Josh Laroche (Missisquoi Valley) also went 2-for-3 with two runs batted in. Sawyer Kamman (Mount Abraham) went the first three innings allowing an unearned run with four strikeouts. Josiah Benoit (Middlebury) picked up the win in relief with Josh Kennison (Spaulding) earning the save. For the South in the opener, Dougie Avellino (Woodstock) had two singles and Noah Rizio (Burr and Burton), who suffered the loss on the mound, added a RBI-double. Starter Zack Lanzillo (MSJ) went the first four innings giving up two hits, one run while striking out four. Palmer's two-out triple scored a pair in the fifth to break a scoreless tie in game two and his two-out, two-run single added two more in a four-run seventh to back more strong North pitching. Aaron Smith (Middlebury), Russell and Jake LeVan (South Burlington) scattered just five hits, only one after the third, while not walking a single hitter. Russell, who picked up the victory, also added another single and Wyatt Prue (North Country) went 2-for-4 with a RBI-double and David Laroche (Missisquoi Valley) chipped in with a RBI-single. Avellino was 2-for-3 with a double for the South to finish 4-for-5 over the two games. Starting pitcher Matt Upright (Mount Anthony) allowed just two hits in four solid innings on the mound and added a single at the plate. Rizio also went 1-for-2 in the nightcap and 2-for-3 in the twinbill. Matt Thayer (Windsor) caught every inning for the South on the day scoring a run in the opener and went 1-for-3 in game two. 2B: North: Zach Dichard, Davis Guyer, Luke Russell; South: Rizio. 3B: North: Dichard. 2B: South- Dougie Avellino; North- Wyatt Prue; 3B: North- Jonathan Palmer.